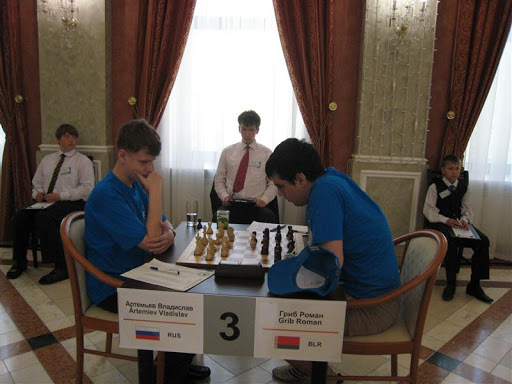 GMs Dgebuadze, Alexandre and Zhao, Xue shared first with 7.5/9. Top Hungarian was IM Izsak, Gyula, who won the event previously in 2011. IM Gergacz,A had 6/9 while IM Peredy had 6.5/9. In 2006 Brasschaat won the award of most liveable community of the world. This prestigious award was given by the LivCom Awards, a division of the United Nations. GMs Dgebuadze, Alexandre and Zhao, Xue shared first with 7.5/9. Top Hungarian was IM Izsak,Gyula, who won the event previously in 2011. Here is IM Gergacz’s rd5 attacking victory over IM Hovhanisian in the topical French Tarrasch 3..h6. White has sacrificed two pieces for the attack so far. What do you recommend for white now? Haguenau has a notable army base. Here is a bit more(French language). GM Rapport played a fabulous ending giving an exchange for the bishop pair and a pawn. The passed pawn is the key. What do you recommend for white? A review of 7 recent games in the French Winawer. Material should be useful to French Defence and/or 1.e4 players. Most games come with videos. Gdańsk is Poland’s principal seaport as well as the capital of the Pomeranian Voivodeship. It is also historically the largest city of the Kashubian region. This brilliant positional game is my favorite. The Siegman tournament is being held in Malmo. Here’s some background on the Swedish city. GM Rapport played a thematic game against the French and won a sharp ending. Of note was the nice Ra2-d2!? way of bringing the rook into play in the opening. White is winning but what is the most precise way to end the game? Here’s a nice attack game from a harmless opening. White has loosened the kingside up and black is poised and ready to strike. What do you recommend for black? Mekhitarian showed a new attacking idea in the Americas Continental 2012 tournament but black had clear improvements. Both sides have attacking plans. What do you suggest for white now? 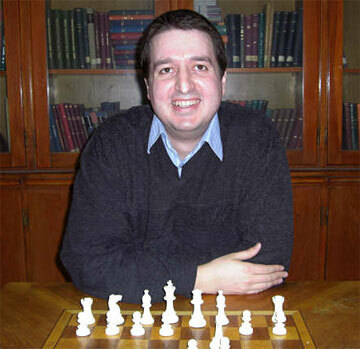 Volkov showed the typical themes at the Dvorkovich Memorial tournament in January. Both sides have made progress in the typical kingside vs. queenside strategic race. What do you suggest for black now?